Welcome to our help and support page. At Wessex Garage Doors we take pride in delivering exceptional customer service no matter what stage of buying process you are at. Here you will find answers to frequently asked questions, information and guidance on buying your new garage door and much more. We welcome any feedback from customers and would be happy to hear from you if you have any questions or follow-up queries. Additionally if you have experienced any problems or issues please don’t hesitate to contact the team today. Introducing our Service Passport scheme which ensures your garage door is serviced annually and provides the guarantee of safe and reliable operation of your garage door for a period of 10 years regardless of the warranty provided by the manufacturer. If you are interested in buying a new garage door, we understand that you will be faced with a number of decisions to make on everything from the material and style of the door to whether you want it to be automated. To help you feel more confident in making the decision we have created a comprehensive buyer’s guide. 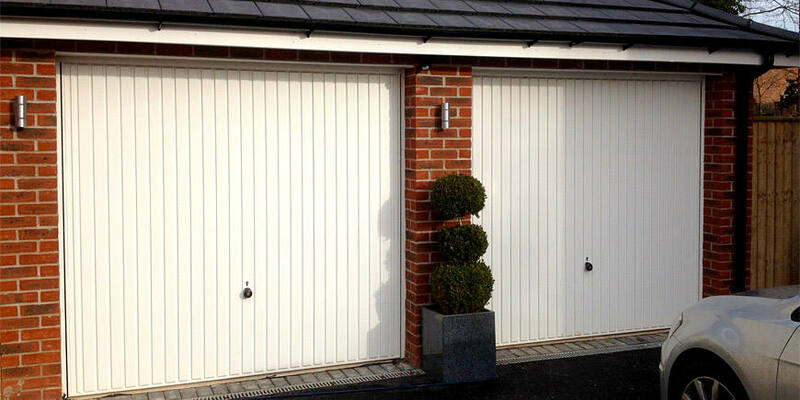 With full details on the range of different styles of garage door that we offer, as well as the materials you can choose to have them made in, the guide also provides insight into the advantages of manual and automatic doors. The team at Wessex Garage Doors is passionate about providing the highest levels of customer service and exceeding your expectations. We are dedicated to offering the same exceptional level of service to each customer we work with and pledge to follow our customer charter. Read it to learn what you can expect when you choose us as the provider and installer of your new garage door. If you would like any further information, to leave feedback or if you require support from our team on any aspect of your purchase or installation, please get in contact with our friendly team today. You can call us directly on 0800 161 3733 or email info@wessexgaragedoors.co.uk and we will get back to you as soon as possible.